Enjoy the numerous amenities during your stay. 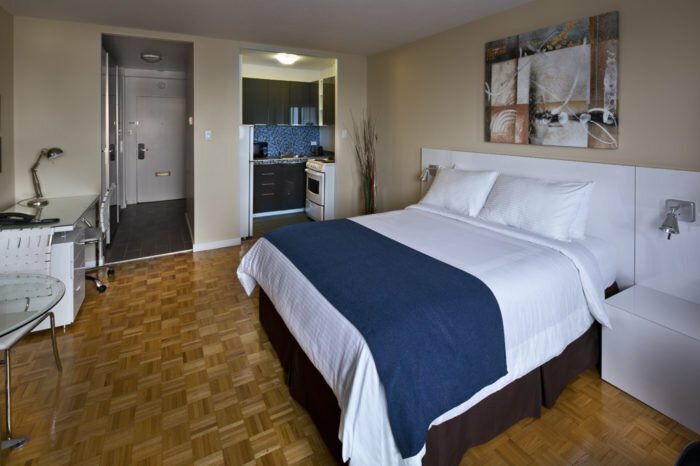 The indoor heated pool, the sauna and the gym are all available at guests’ convenience. A parking and a laundry room are also at every visitor’s disposition. A warmly lit space with a relaxing atmosphere. Come decompress, hang out or enjoy time with your friends around a drink. Event organisation is also possible in the Thalia Lounge. 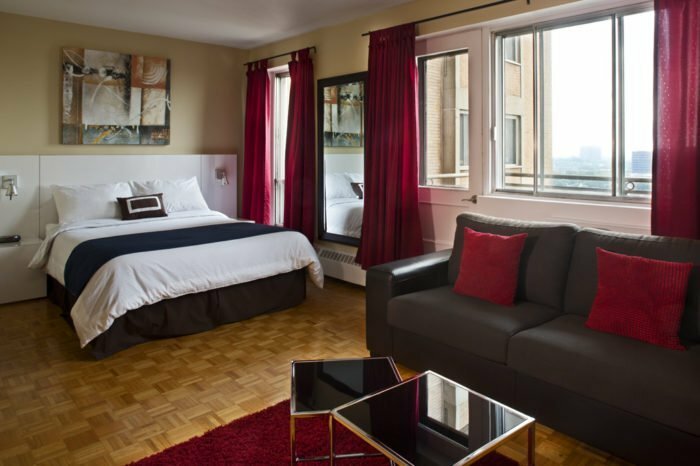 Let your skin feel the sun while enjoying an incredible view on downtown Montreal, the Mount-Royal and McGill University. The ideal place to spend a warm summer afternoon or a nice evening with friends. 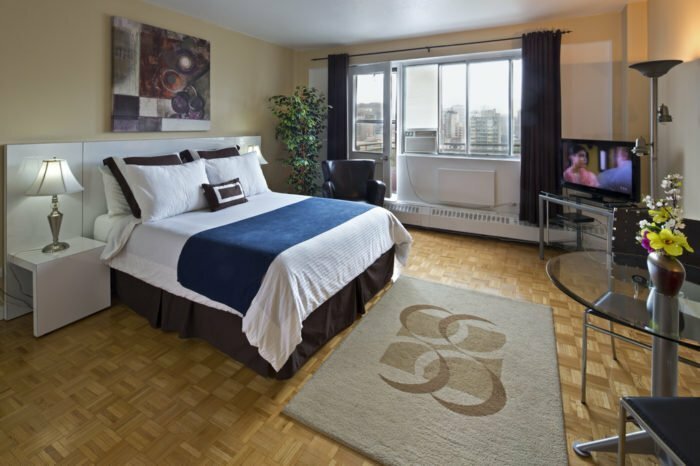 Located in the heart of downtown Montreal, Trylon Appartements Hotel is only a five-minute walk away from Place-des-Arts metro station. 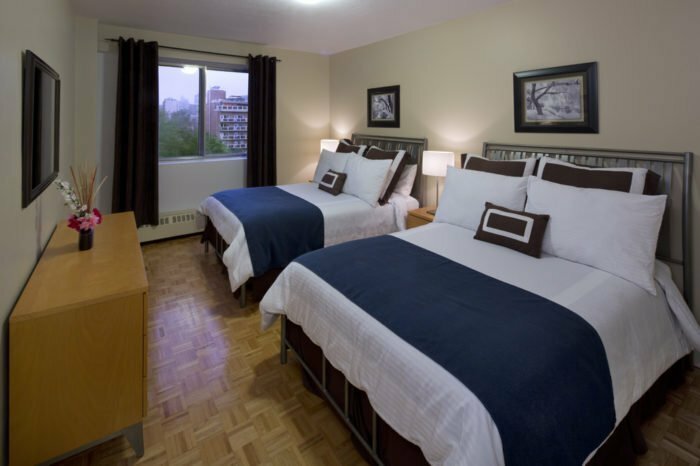 The building is right beside the Entertainment District, host of internationally recognized events like the International Jazz Festival or the Just For Laughs festival, so you’ll find yourself in an original and amusing place. 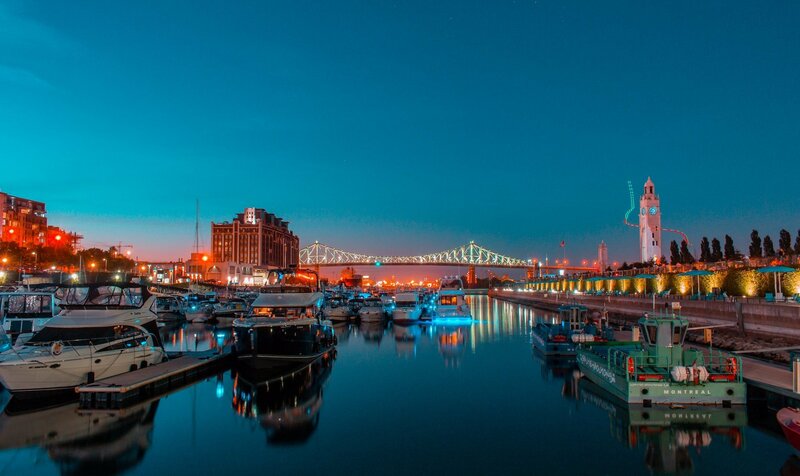 Animated by tourists and locals, it’s situated in Montreal’s most vibrant and dynamic neighborhood. All apartments are fit with a kitchen, a free Wi-Fi connection as well as a cable TV. A work desk, coffee and tea equipment are also available to anyone who would like to work from the apartment hotel. A self-service laundry room is available at your convenience.Let the gym, the sauna and the beautiful indoor heated pool enrich your stay at Trylon, whether it is to workout or decompress. The rooftop terrasse is perfect to witness one of Montreal’s best Downtown view during warmer months. 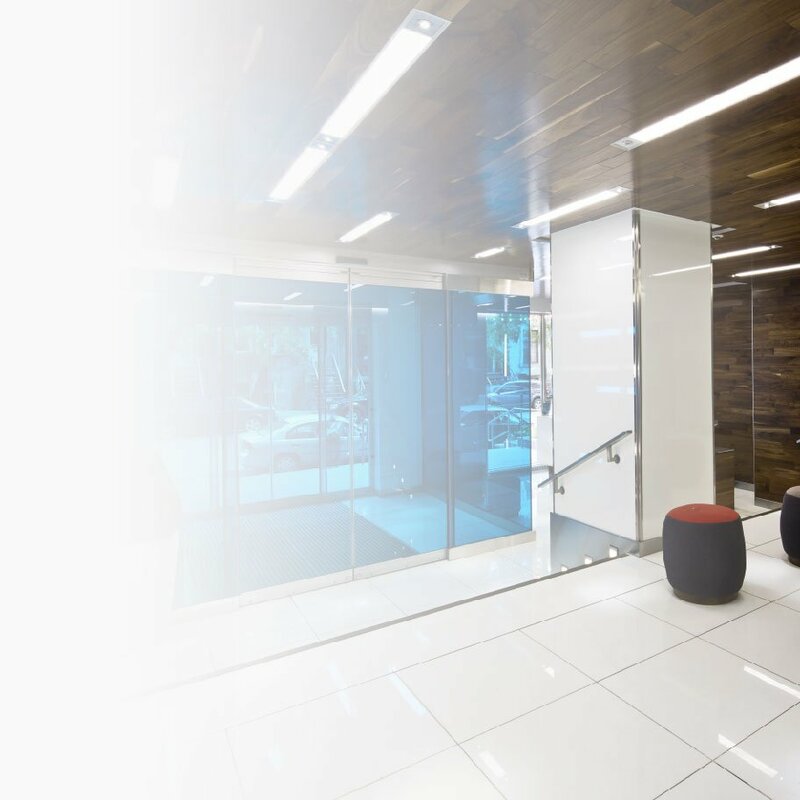 A private lounge allowing to work, relax or even organise events is also at your disposition. Plateau Mont-Royal is an amazing neighborhood for travellers. 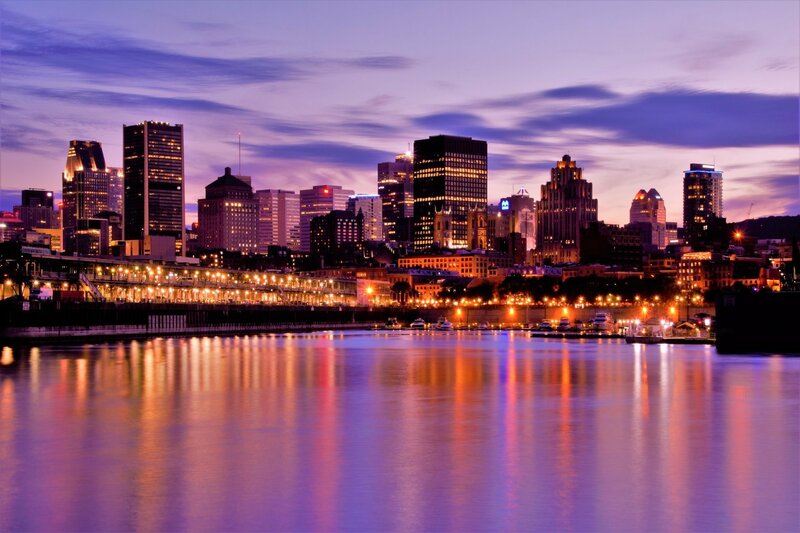 It has got a unique, warm and friendly atmosphere that you can’t find anywhere else in Montreal. You can also find several of Montreal’s best stores and restaurants. Trylon is rated as the best value housing in Montreal on booking.com. You’ll be getting more for your money when staying at our apartment hotel.